Customer Picture Number 441 Selected. Cool Car decals applied. 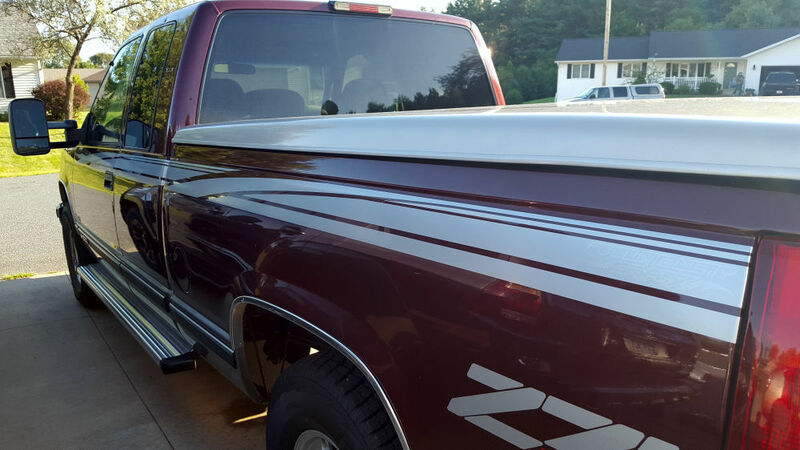 Custom silver vinyl vehicle graphics striping on this now really cool Chevy Z71. A bit of an old School look too!